We have exciting news! CMON Expo 2019 is sold out! The response from each and every one of you has been amazing and, well, we’ve hit our limit! This is going to be an amazing show. We’re busy working behind the scenes filling up the weekend with amazing panels featuring our outstanding guests. It’s going to be nonstop action and fun and we can’t wait to see you there. If you missed out, we apologize. But we’ll have updates from the show talking about all the great stuff we’re showing off. 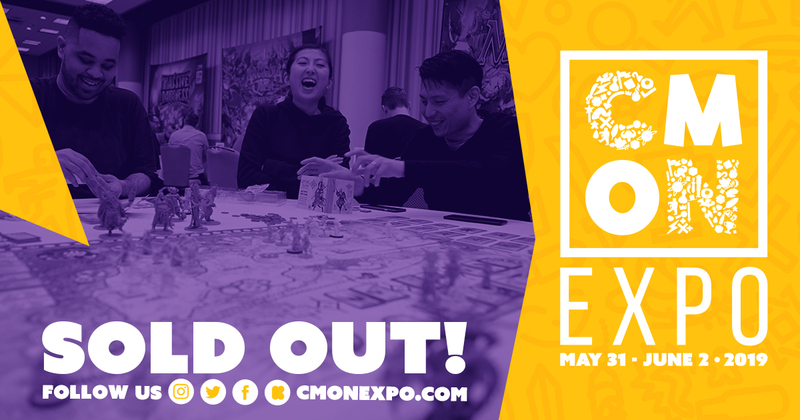 We can’t wait for CMON Expo 2019 and we hope to see you there!